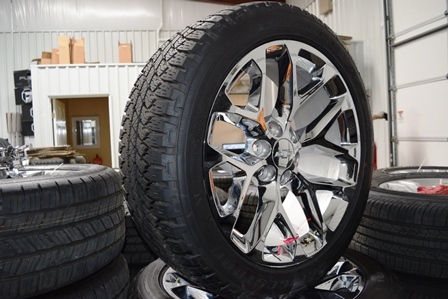 Factory Chevy Wheels and Tires for Chevy 1500 Silverado Pickup, Tahoe, Suburban, Avalanche, Colorado and Denali vehicles. 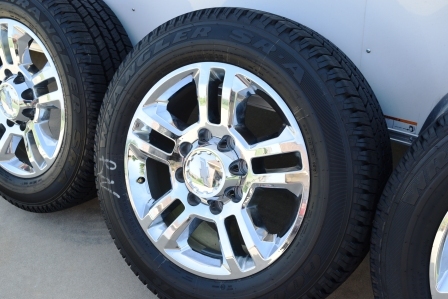 We have Chevy HD 2500 and Chevy 3500 oem wheels including Alco Dually factory wheels and tires. 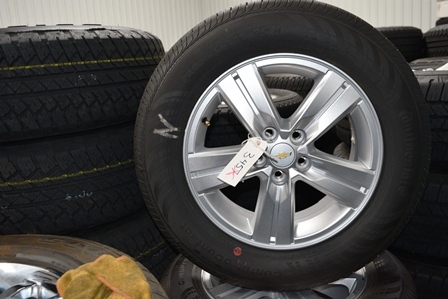 Factory Chevy wheels for Chevrolet cars including Malibu, Impala, Traverse, Camaro factory wheels and tires. You can shop Chevy Wheels Only by clicking here. Chevrolet Silverado Pickup, Tahoe, Suburban, Avalanche, Denali Factory Wheels and Tires. These fit most 1999 to 2015 2wd model Silverado pickups, most 2000 to 2015 6 lug half ton Chevy Tahoe and Suburbans and 2001 to 2015 Avalanche vehicles. These will go all the way back to 1998 4wd pickups. Please call before you order if you have any questions regarding fitment. Chevy 17 inch chrome plated steel wheels that come on Chevrolet Silverado pickups. Fits most Chevy six lug vehicles from 2000 to 2015. 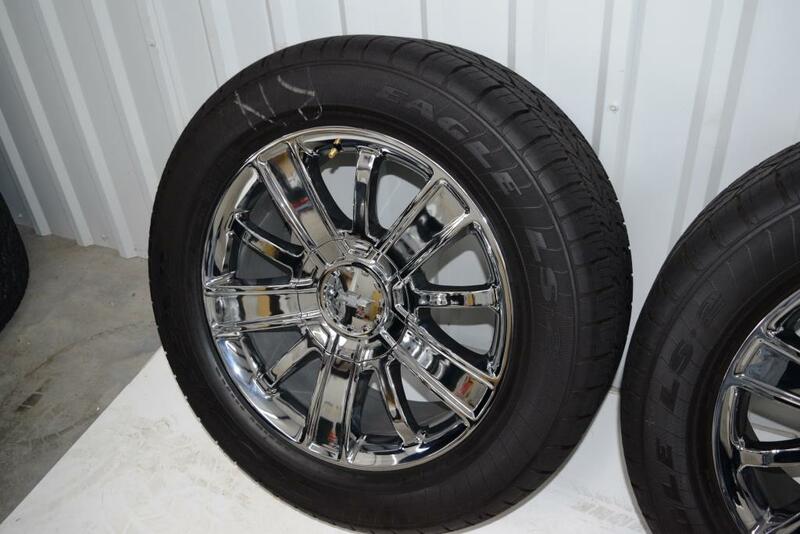 Genuine GM 20 inch chrome LTZ Chevy Tahoe, Silverado, Suburban wheels and tires. 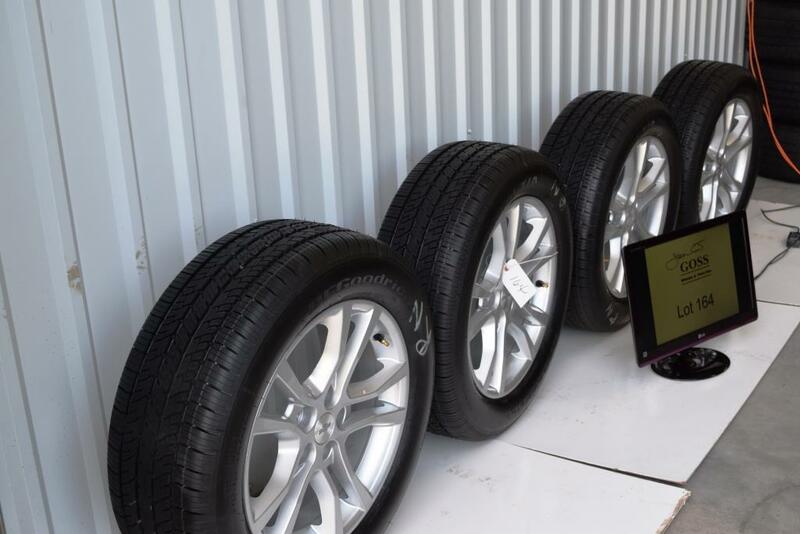 These fit most six lug Chevy 2000 to 2015 vehicles also. Chevy Colorado genuine oem wheels with Goodyear Wrangler Adventurer Kevlar tires. Only fit 2015 Chevy Colorado models. 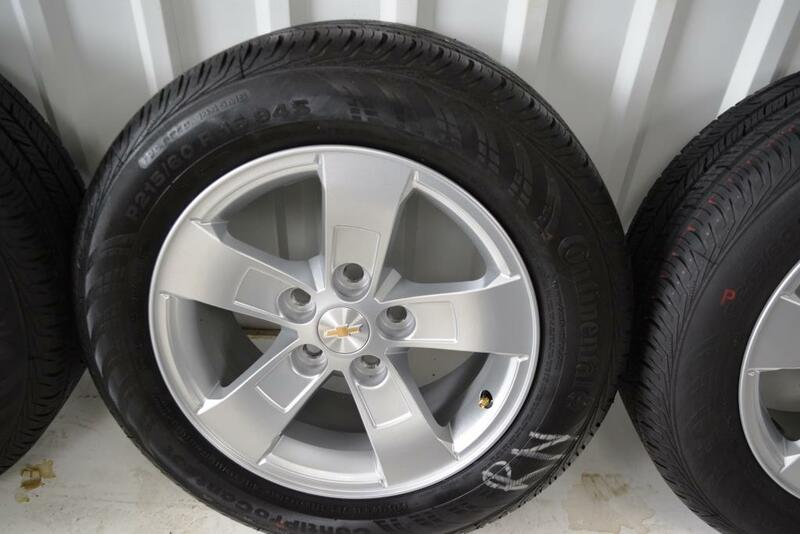 Genuine GM Chevy 22 inch oem wheels with Bridgestone tires. Rarely stay in stock long. Best to order ahead. New style Chevy 20 Inch Chrome Clad LTZ Wheels & Tires. 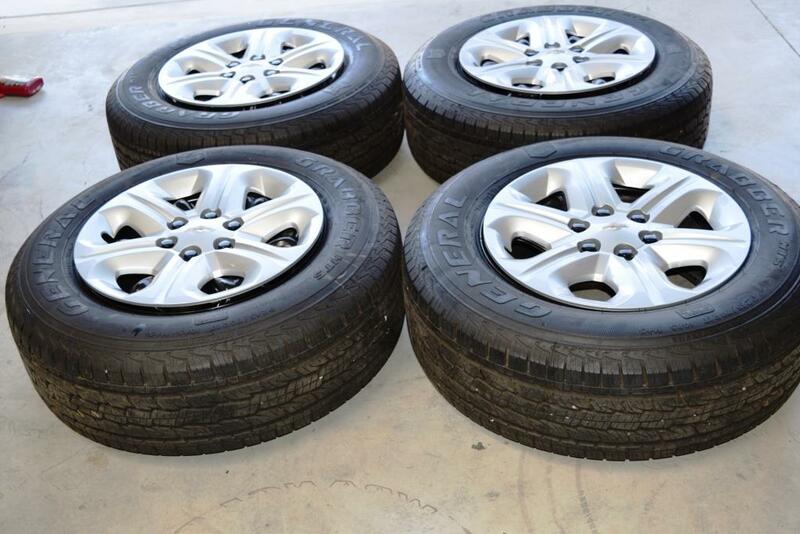 Chevy 17 Inch aluminum alloy OEM Wheels with Bridgestone Dueler HT P255/70R17 tires. These fit most GM pickups, Tahoe and Suburbans from 2000 to 2015. 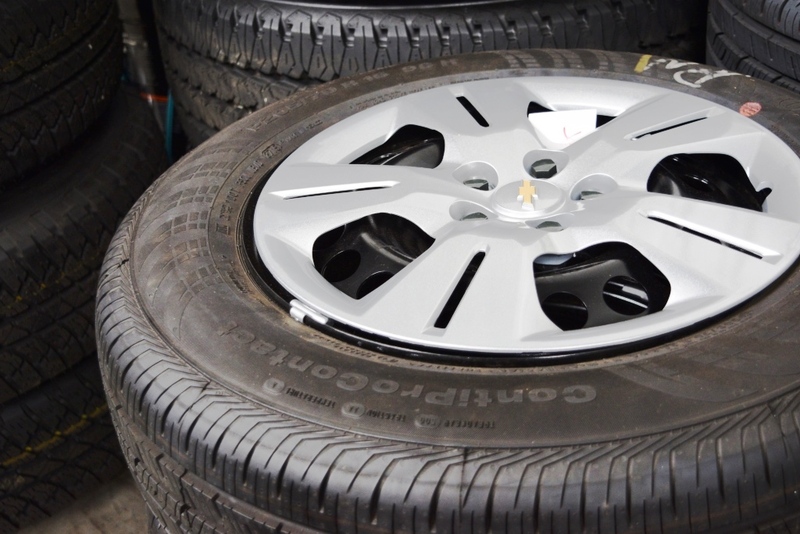 Chevy 20 inch polish aluminum wheels and tires fit most Chevy 6 lug 2000 to 2015 Silverado pickups, Tahoe, Suburban vehicles. Newer style painted finish Genuine GM Chevy 20 inch wheels and tires that also fit Tahoe, Suburban and Chevrolet 1500 Silverado pickups. 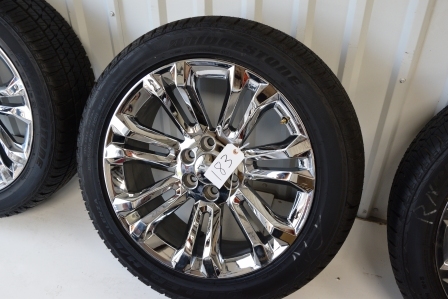 Genuine GM 18 inch aluminum alloy wheels with Goodyear Wrangler SRA P265/75R18 tires. Fit most Chevy Silverado pickups, Tahoe, Suburban, Avalanche vehicles from 2000 to 2015. Fits most Chevy 4wd pickups back to 1988. 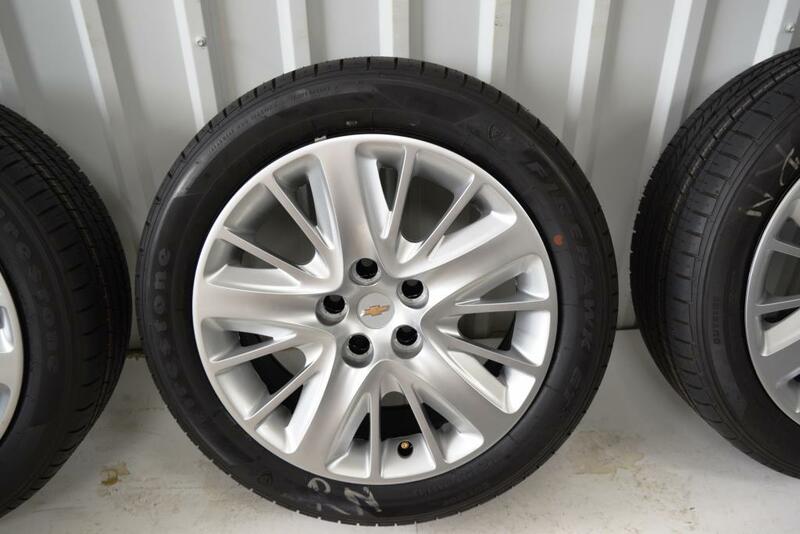 Genuine GM Chevy 22 inch oem wheels with Bridgestone AT tires. One has a couple small scratches as noted in the pictures on the product page at check out that can easily be fixed. These rarely stay in stock long. Chevy 17 Inch Steel grey wheels with Bridgestone Dueler HT Tires. Genuine GM 18 inch aluminum wheels, solid spoke style fits Chevy Silverado pickups, Tahoe, Suburban and Avalanche from about 2000 to 2015 models. Genuine GM 18 inch aluminum wheels, solid spoke style fits Chevy Silverado pickups, Tahoe, Suburban and Avalanche from about 2000 to 2015 models. Have Goodyear Wrangler SRA tires with OWL white letters. 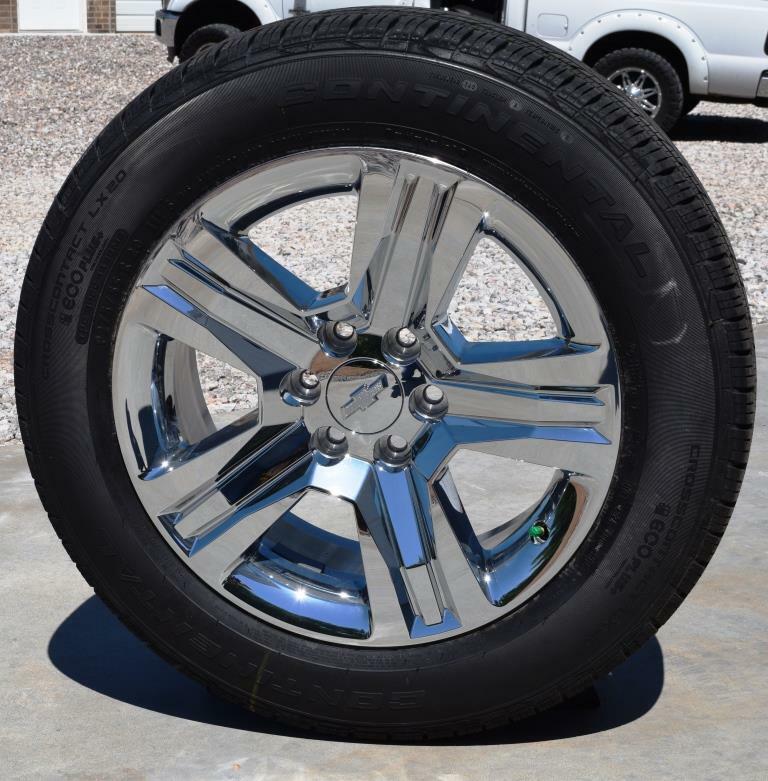 Chevy High Country 20 inch chrome wheels that look great on Chevy Silverado pickups, Tahoe and Suburbans. Fit back to most Chevy 2000 to 2015 models. These really pop. 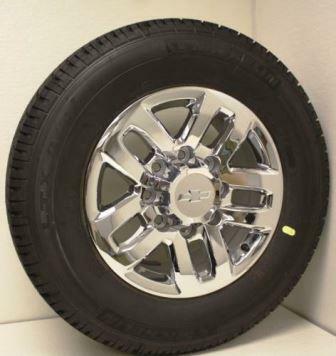 Chevy Traverse 20 Inch OEM Factory Take Off Wheel Tire Package – Fits all 2009 to 2016 Chevy Traverse and Arcadia vehicles. Factory Chevy Wheels for 2010, 2011, 2012, 2013, 2014 and 2015 Chevy Camaro 18 inch oem factory wheels with BF Goodrich radial tires. Like new dealer take off GM wheels. Chevy Camaro SS 20 inch staggered five spoke genuine GM factory chevy wheels. Fit 2010, 2011, 2012, 2013, 2014, 2015 Chevy Camaro cars. 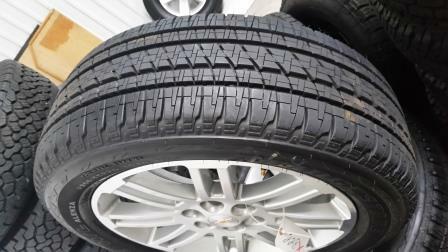 Like new dealer take off factory chevy wheels with like new Pirelli tires. 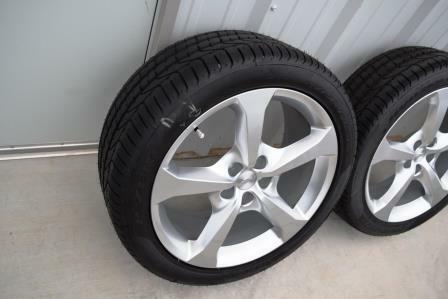 Chevy Impala oem wheels and tires fit 2014, 2014 and 2015 model Chevy Impalas. May fit other models. 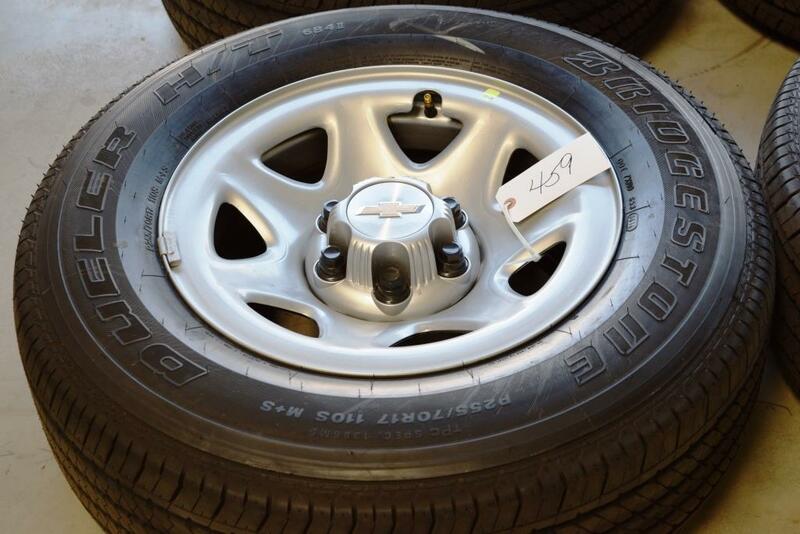 These are genuine GM factory chevy wheels. Chevy Malibu oem wheels and tires, dealer take off factory chevy wheels. Fits 2013, 2014, 2015 Chevy Malibu. May fit other models. Chevy HD Wheels and rims, OEM Factory Dealer Take Off Packages. Chevy 2500 HD and Chevy 3500 HD pickups. 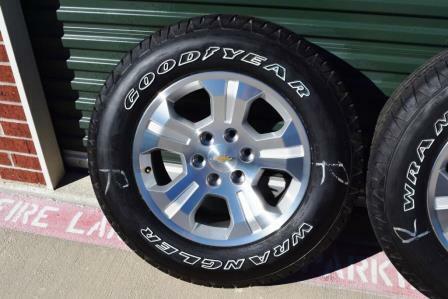 Genuine GM Chevy 2500 HD 8 lug polish aluminum wheels with Goodyear Wrangler SRA 10 ply tires. Like new take offs fit 2011 to 2015 Chevy 2500 and single rear wheel Chevy 3500 Silverado pickups. 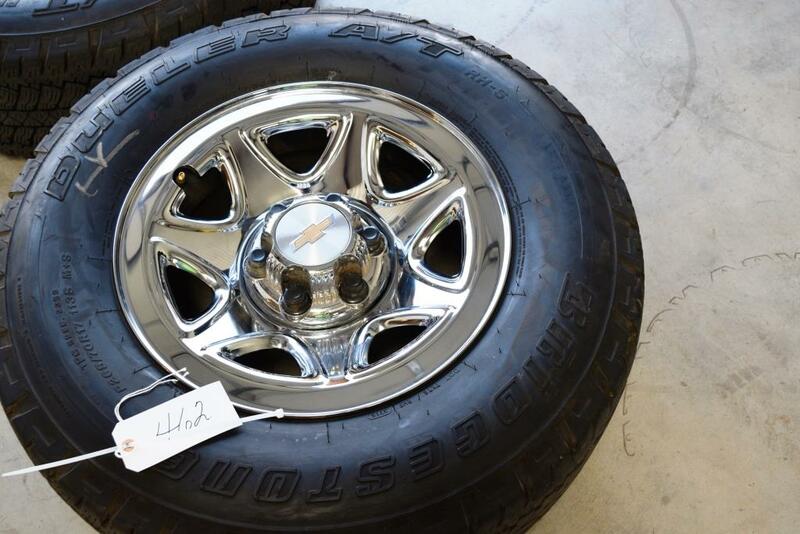 Genuine GM Chevy 2500 HD 20 inch chrome High Country 8 lug wheels with Goodyear Wrangler SRA 10 ply tires. 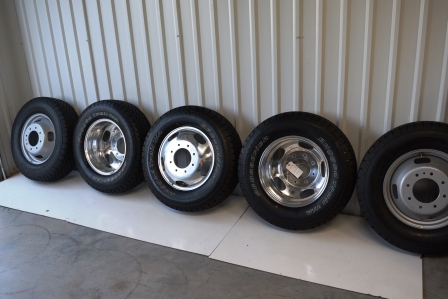 Chevy 2500 HD 18 inch polish 8 lug wheels with either Goodyear Wrangler or Michelin AT 10 ply tires depending on what is in stock. Fits 2011 to 2015 Chevy 8 lug 2500 HD Silverado Pickups. Chevy 3500 Dually OEM Wheels and Tires. Currently have Michelin AT tires in stock on genuine GM Chevy Alco aluminum dually six wheel and tire sets. Fits 2011 to 2015 Chevy Dually pickups.